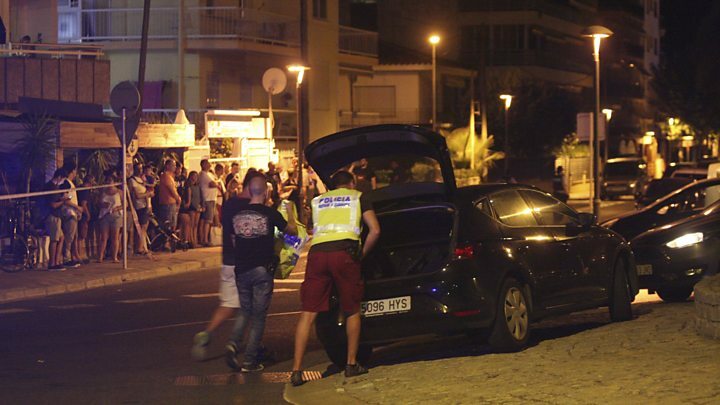 Spanish police say they have shot dead five suspected terrorists in the town of Cambrils in a second vehicle attack, hours after another in Barcelona killed 13 people and injured dozens. Police said the men were linked to the Barcelona attack, which so-called Islamic State said it had carried out. Police are still hunting the man who drove his van into crowds on Las Ramblas in Barcelona on Thursday. Spanish media have named Moussa Oukabir, 18, as the suspect. 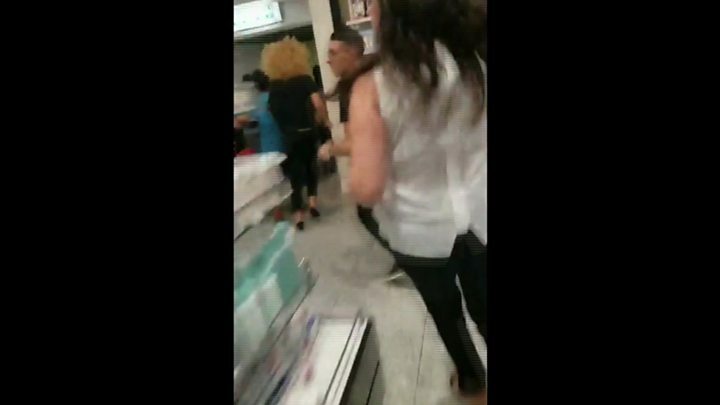 He is the brother of Driss Oukabir, whose documentation was allegedly used to rent the van involved in the attack. Spanish PM Mariano Rajoy has condemned what he called a "jihadist attack". He has announced three days of national mourning and a minute's silence was held at noon (10:00 GMT) on Friday. Seven people, including a police officer, were wounded when a car was driven into them early on Friday, Catalan emergency services said. One later died in hospital. Police say the situation in Cambrils - a popular seaside resort 110km (70 miles) south-west of Barcelona - is now under control. A rented van was driven down Las Ramblas, a popular street in the centre of the city on Thursday afternoon, mowing down tourists and locals. Las Ramblas is a central boulevard that runs 1.2km (0.75 miles) through the centre of Barcelona from the city's Plaça de Catalunya (Catalonia Square) to the Christopher Columbus monument at the seafront. France's foreign ministry said on Friday that 26 French nationals were injured, with at least 11 in a serious condition. 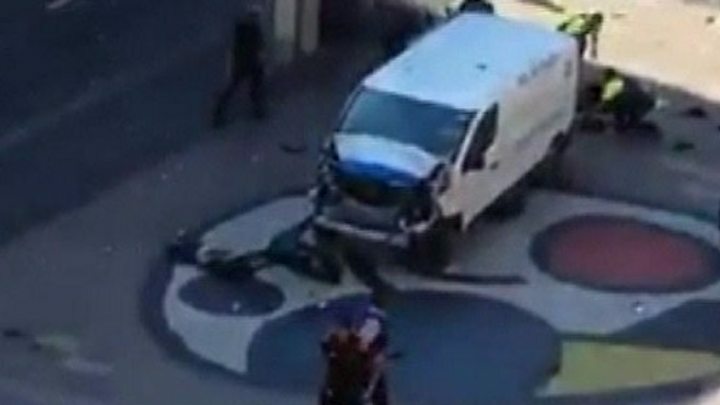 Two people were detained on Thursday over the Las Ramblas attack, but not the driver of the van. One of those held is Driss Oukabir, whose documents were used to rent the van, local media say. They say he is in his 20s, and was born in Morocco. However, latest reports suggest he has told police he was not involved, and that his documents were stolen. Spanish media report that his younger brother, Moussa, rented two vans, the one used in the attack and another found hours later in the town of Vic, north of Barcelona, and intended as a getaway vehicle. On Friday, police announced a third arrest had been made in the Catalan town of Ripoll. So-called Islamic State has said it was behind the Las Ramblas attack, saying in a brief statement carried by its Amaq news outlet that it was carried out by "Islamic State soldiers". The group gave no further evidence or details to back this claim.